Germany has been consumed by a high-profile plagiarism scandal in recent months. Defense Minister Karl-Theodor zu Guttenberg was forced out of office by allegations that he plagiarized large portions of his doctoral dissertation. Now it’s Britain’s turn. 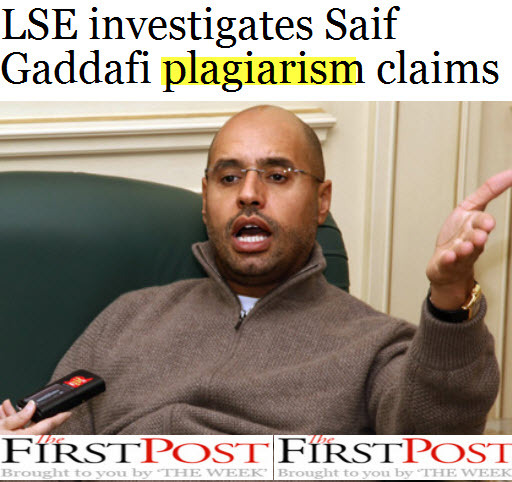 The prestigious London School of Economics (LSE) awarded Saif Gaddafi a doctorate several years ago. But now allegations have surfaced that much of it was copied from other authors. LSE has announced a speedy investigation of the accusations; the illustrations above show a sentence from the university’s statement. It also touches on another embarassing point: LSE concedes that it received a large donation from Saif Gaddafi. 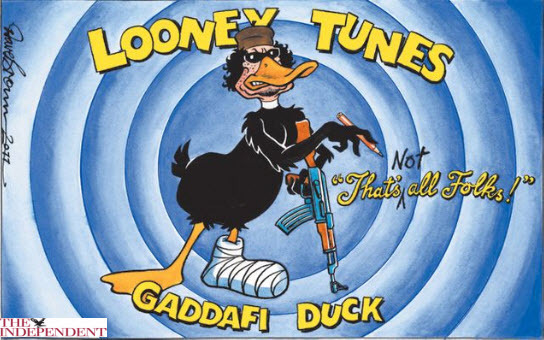 British media have voiced suspicions that the funding might have greased Gaddafi’s path to the PhD. 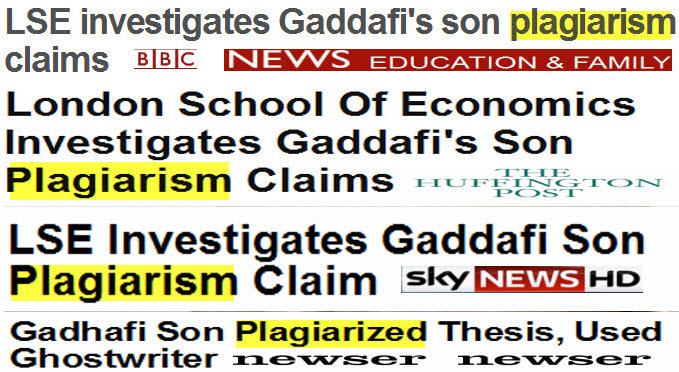 Be that as it may: Plagiarism is a critical topic with or without the latest scandals. Many institutions and leaders in Britain are now turning a critical eye to this issue and asking themselves whether their society has taken it too lightly until now. 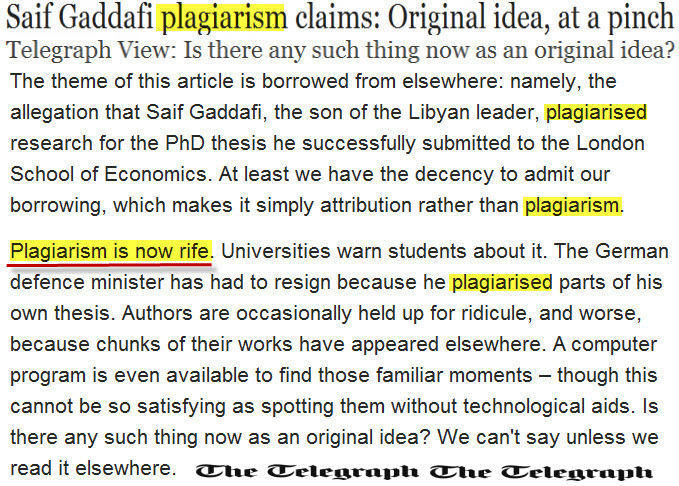 How could it come to pass that a world-famous and much-admired institution such as LSE would accept plagiarism? And how could it be that the London publisher Black Dog Publishing has for years now refused to accept liability for an act of plagiarism that the Humboldt University of Berlin has clearly and unequivocally confirmed?